MALAYSIA-IN MEMORY: Harmindar Singh, who passed away yesterday (31 Jan 2015), was an active member of the Sikh community in Seremban, Negeri Sembilan. A retired school lab assistant, he later went on to head the kindergarten run at Gurdwara Sahib Seremban. 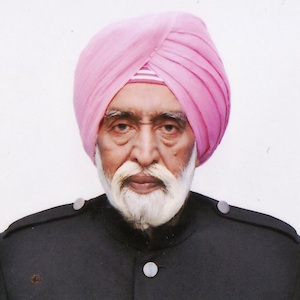 He was one of the pioneers, together with the late Joginder Singh (popularly known as Uncle Jo to the Seremban sanggat), in starting up the naujawan satsang in Seremban. This was a programme where kirtan and talks were held targeting the Sikh youth. “He was one of the pillars of our Naujawan Satsang. He played an important role in bringing us to the path of Sikhi,” said a senior Seremban youth leader. Harmindar leaves behind wife Bibi Amar Kaur, three children and five grandchildren. His son, Harmit Singh is an active member of the Sikh Naujawan Sabha Malaysia (SNSM) and also the Seremban gurdwara. He and his family are regulars at gurmat camps. Harmit was recently actively involved in the Kelantan flood relief efforts.